In the last several years, picture book readers have been lucky enough to be offered a slew of books that touch on themes like diversity, tolerance and acceptance. I have started compiling a list, (embedded far below) and include today (just below) reviews of two lovely new picture books with very different perspectives on diversity. If there are books you believe belong on this list, please let me know. 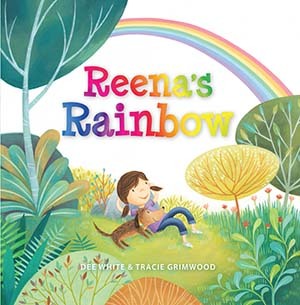 Reena’s Rainbow is a children’s picture book by Dee White, illustrated by Tracie Grimwood, and published by EK Books (2017.) RRP: $Au 19.99 HB. Reena is deaf and Dog is homeless, but they are also so much more than that. At first Reena and Dog feel like they don’t belong, but when they form a unique bond with each other, and become friends with the hearing children in the park, they discover that everyone is different and special in their own way. Reena’s Rainbow is about friendship, inclusion and acceptance. It sends the message that true friends will always accept your differences and love you just the way you are. It’s important for children to read about other kids like them. 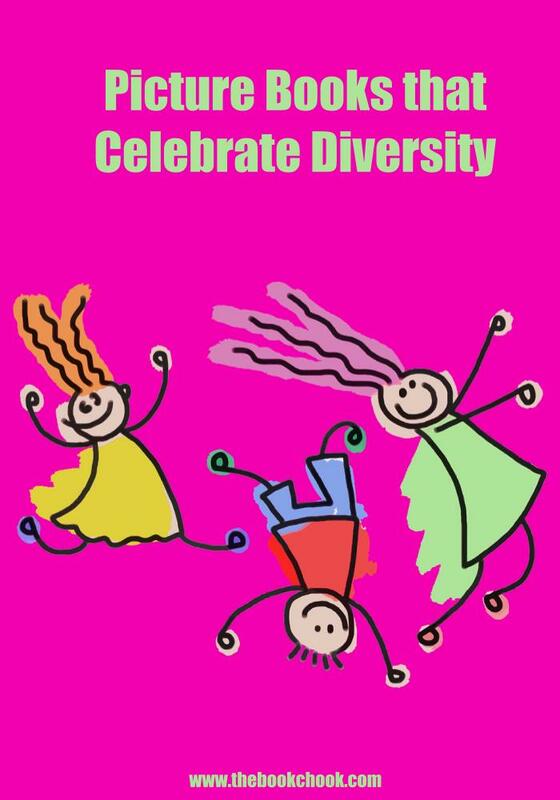 With over 15% of the world’s population living with some form of disability, the message in Reena’s Rainbow about accepting individual differences and strengths is one we certainly want to share with kids. I so enjoyed reading about the bond that Reena and Dog form - most children understand that special relationship humans can have with companion animals and they will love the way Dog fits into Reena’s life. White talks about Reena’s deafness pragmatically and in a way children will understand. We read of the way “sounds scattered and scrambled and made no sense” and the way Mum’s fingers must dance as they talk to Reena. But we also read of Reena’s strengths - her keen eyesight, her observation skills and her compassion for others. I know parents, teachers and librarians will love the opportunity provided in sharing this book with kids to discuss all children’s specialness, differences and strengths. Grimwood understands the sorts of illustrations that attract youngsters to books. The child characters are only slightly stylised so kids will no doubt recognize themselves and their friends. I loved the way the natural world settings were depicted - lots of gorgeous colour and imaginative graphic design. On the last page, we see Reena and the other children standing with their arms crossed over their chests. The children are ‘signing’ the word, ‘love’, leading us to understand that Reena has shown them how to ‘sign’, thus bringing them into her world too. The partnership of Grimwood and White has produced a gentle picture book that will appeal both to kids and the adults who care for them. There are Teacher Notes available at EK’s website. Once, there was a small rhinoceros who wanted to see the big world. So she built a boat. And sailed away ... From the duo behind award-winning picture book No Bears comes a simple yet inspirational tale about challenging the norm, pushing boundaries and being true to oneself. Whereas Reena’s Rainbow (above) was about diversity involving a child with different physical abilities, the small rhinoceros in this picture book is special in a different way. While the other rhinos wallow and sun-bathe, she watches boats on the river, and dreams of far-off places. While the others explain there is no need to see faraway lands when they have everything they could possibly need right there, she begins to build a boat of her own. Soon she sails away, undaunted by the fact that a rhinoceros is said not to be able to sail, row or steer. I loved the language McKinlay uses in this lovely children’s picture book. We read of “the woolly wild of winter and the smooth sweep of summer”, and delight in the poet’s voice so much in evidence. Rudge’s illustrations fill in so many details for us. Her use of colour and pattern is brilliant, underscoring the change from familiar to exotic as the little rhinoceros travels. 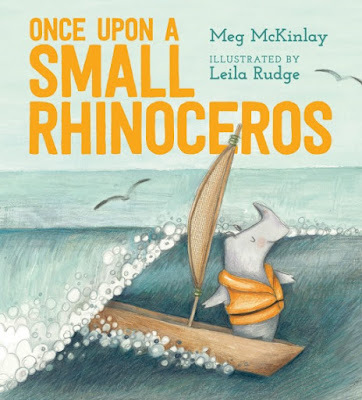 My favourite scene is a double page spread of the conservative rhinos still wallowing but bedecked in finery brought from overseas, while the small rhinoceros strums an instrument and we meet an even smaller rhinoceros who also dreams. This is another excellent picture book to share with kids. No preaching, just an ostensibly simple tale but one with so much to think about and discuss. Our society has frequently told people what they can’t do, and decried dreams as impossible or impractical. Luckily, so many of our explorers, inventors and creators haven’t listened.